Despite billions in spending every year, SAT scores are declining around the country, and ACT scores are remaining stagnant. 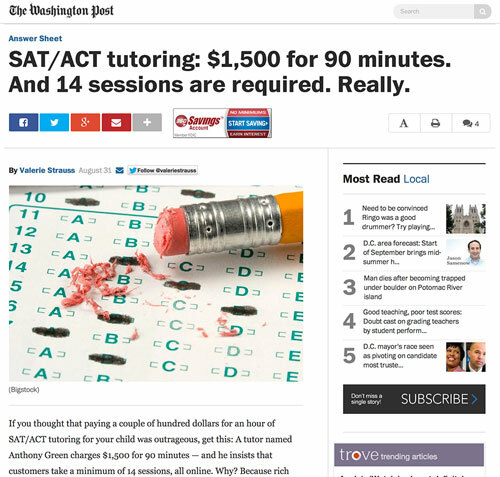 As college admissions become increasingly competitive, parents around the country are scrambling to improve their children’s scores – but as a recent Wall Street Journal study demonstrated, most paid prep options are improving SAT scores by only 30 points and ACT scores by less than one point on average. The options on the market have failed to do the one thing they’re supposed to: get their students into better schools. 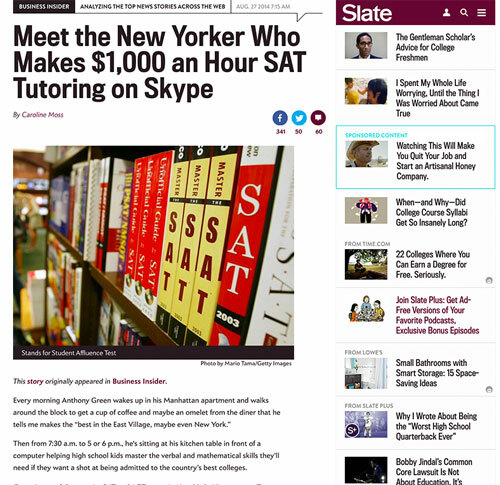 Anthony-James Green fell into the world of SAT & ACT tutoring by chance. 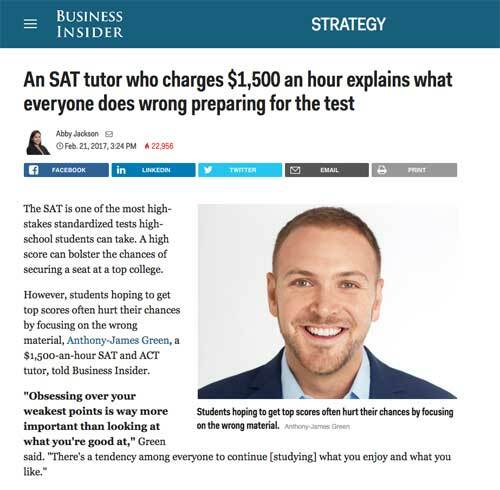 His freshman year at Columbia University, he parlayed his high SAT scores into a job at one of the major prep firms as a way to make some spending money. However, after seeing the inefficacy of the firm’s instruction (marked by unmotivated, disheartened students, one-size-fits-all teaching methods, and a total lack of accountability), Green realized that something needed to change. He’s spent the past 10 years of his life, and over 15,000 hours of his time, honing programs that actually work – and that students will actually use. Based on his results, his efforts have paid off. 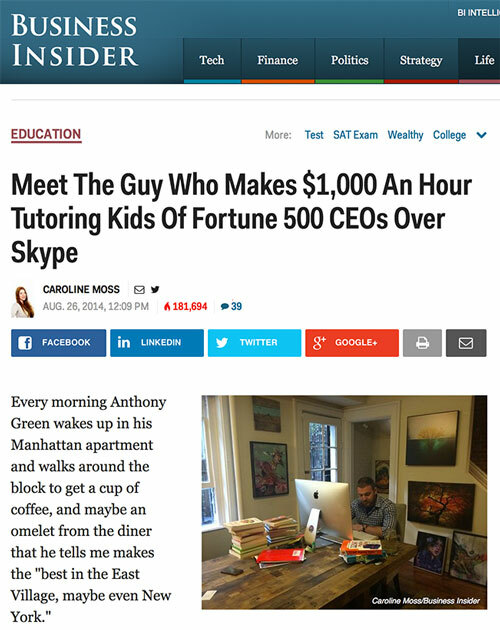 But Green didn’t launch his mission solely to help the 30-40 one-on-one clients he could see per year. Over the past five years, he’s worked tirelessly to make his curriculum and teaching methods more accessible to the millions of families facing these tests every year. 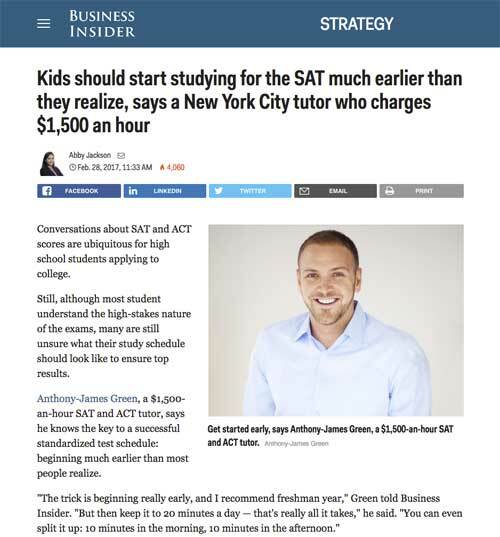 Now, thanks to his new website, online prep systems, and newly developed coaching programs, hundreds of thousands of students around the world have used Anthony’s expertise to improve their scores and improve their college applications. 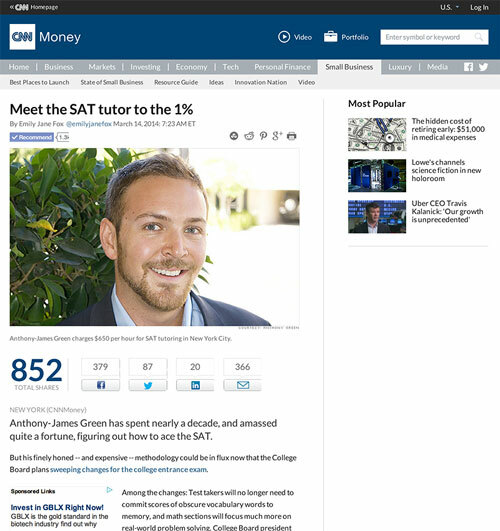 His online course alone has delivered an average score improvement of over 215 points on the SAT and over 4.66 points on the ACT – results better than any other program, tutor, or class in the industry. 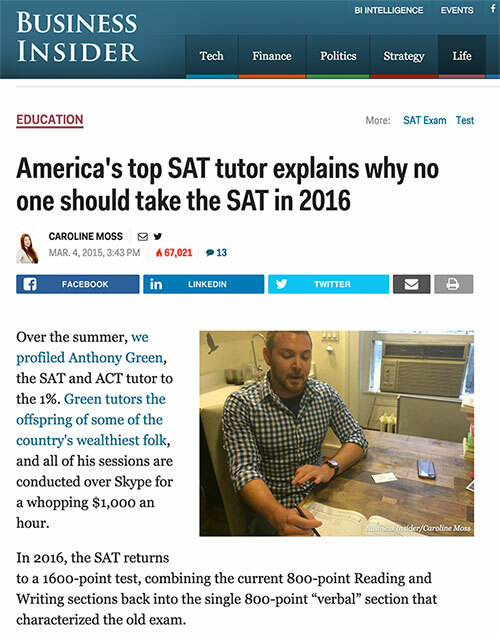 Green is determined to create a modern solution to ACT & SAT prep. 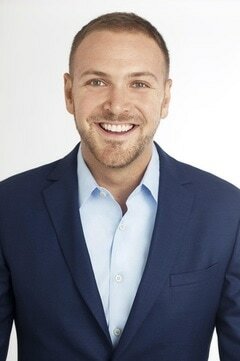 A means to deliver better value, better service, and better score improvements through reliable, effective, and motivating systems that reflect the same curriculum, teaching methodologies, and techniques that he uses with his own one-on-one clients to achieve such remarkable score improvements. 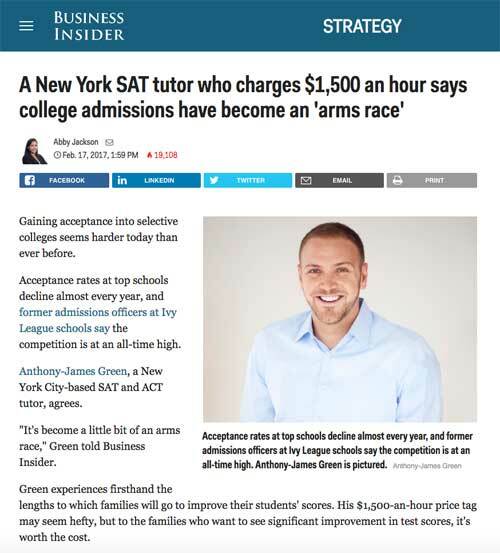 And despite countless new competitors, Green’s systems continue to set the golden standard in the SAT & ACT prep industry. 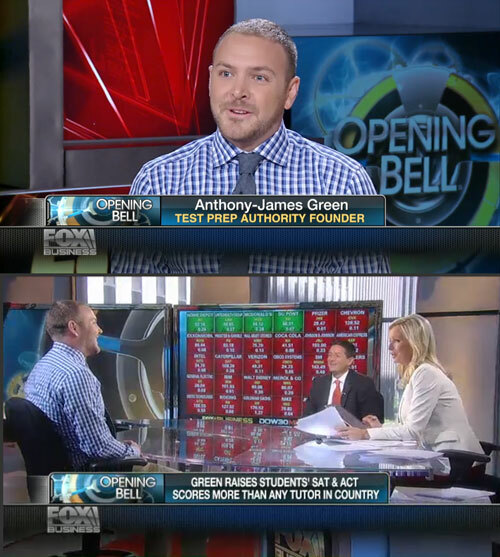 Green Test Prep is revolutionizing the test prep experience for students and families around the globe – and we hope you’ll become one of the thousands of families who’ve used his methodologies to unlock the colleges of their dreams. Now discover The Green Test Prep System. Start dramatically increasing your ACT and SAT scores NOW and get into your dream college! You can learn more here.